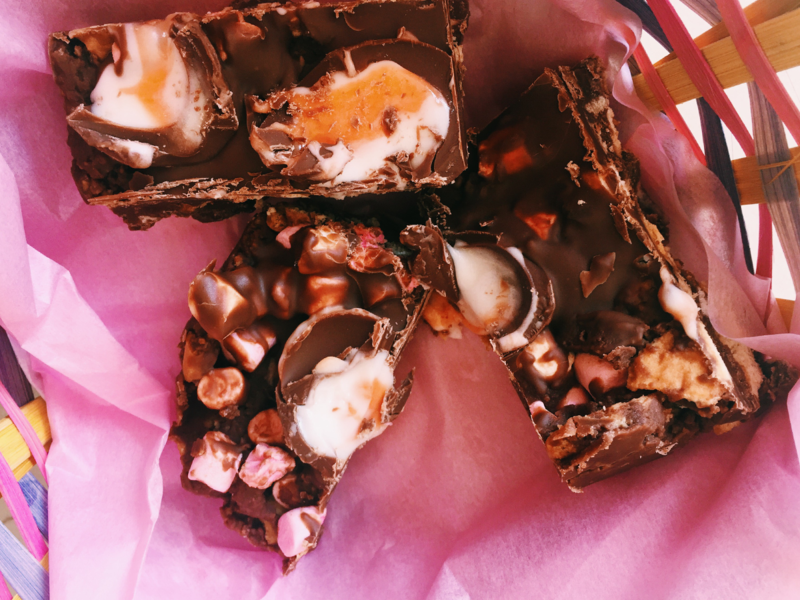 No bake and super easy to make, these Creme Egg Rocky Road pieces are your new favourite Easter dessert! 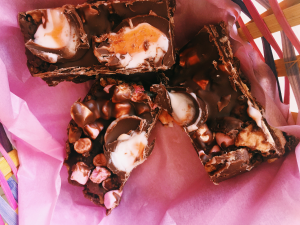 Firstly place your marshmallows and creme eggs in the freezer, to ensure they don’t melt when you mix them with the rest of the Rocky Road- leave them in for up to two hours. Half fill a small pot with water and place on the heat to simmer. Place your 250g of your chocolate in a plastic bowl and float it/have it just above the simmering water so that the steam melts it. At the same time add in your butter and your syrup, stirring occasionally. Meanwhile crush your biscuits (I put mine in a sandwich bag and bashed them lightly with a rolling pin) and when the chocolate mixture is all melted, fold them in. Chop your cherries into quarters (or halves depending on how big you want them!) then add them to the bowl, followed by your raisins and your marshmallows brought from the freezer. 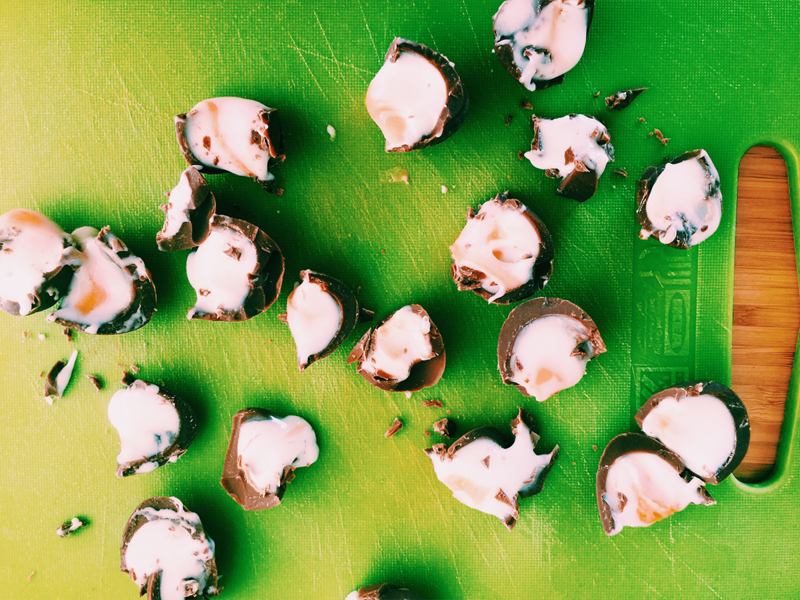 Get your creme eggs from the freezer and chop 2 of them up into smaller pieces, adding to your rocky road mixture. Leave the other three to the side for now. Pour your mixture onto a baking tray lined with parchment, and spread it before pressing it down firmly on the tray- this will compact the mixture. Now this is where the rest of the chocolate comes in- get yourself a fresh bowl and melt the 120g of remaining chocolate- this will go on top of your rocky road mixture. Then chop your three Creme Eggs into halves and quarters. 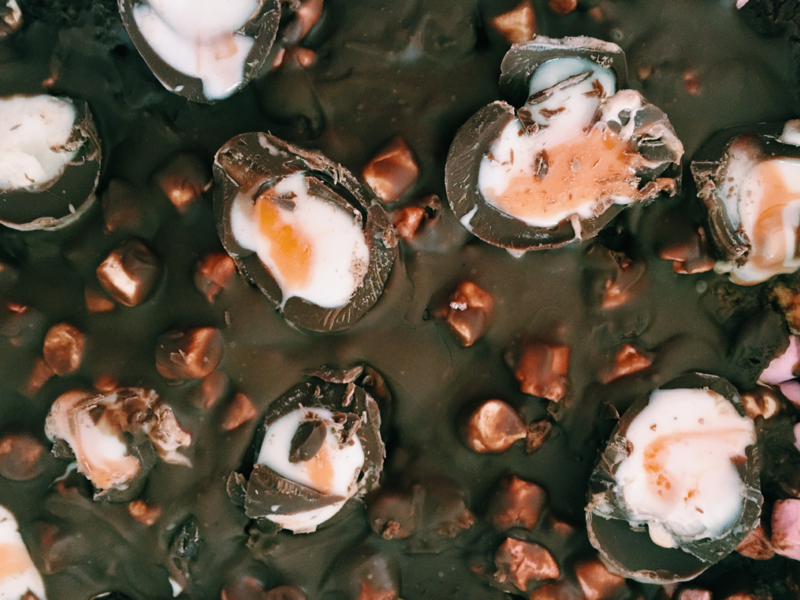 Pour your melted chocolate over the rocky road mixture in the tray, and then press in your Creme Egg pieces. Finally put in the fridge to set- this should take around two hours. Once set, cut into squares and enjoy! 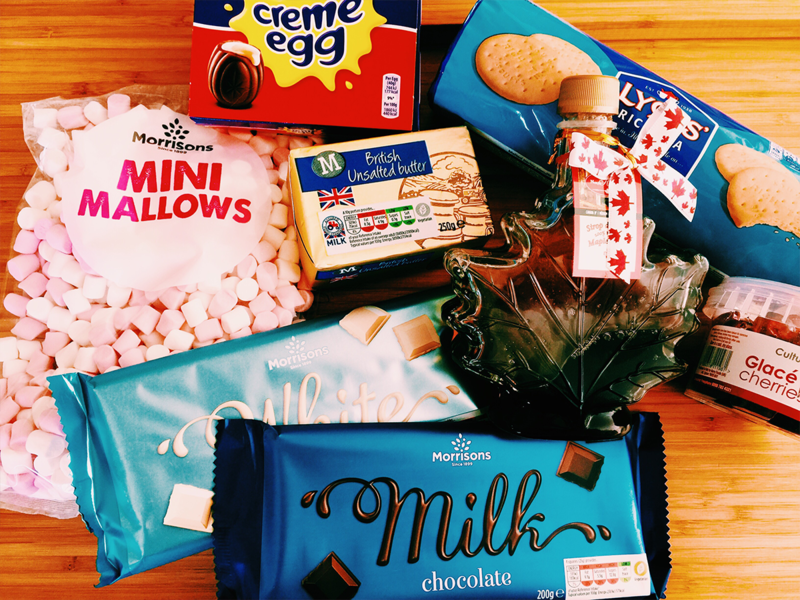 What’s your favourite Easter treat? 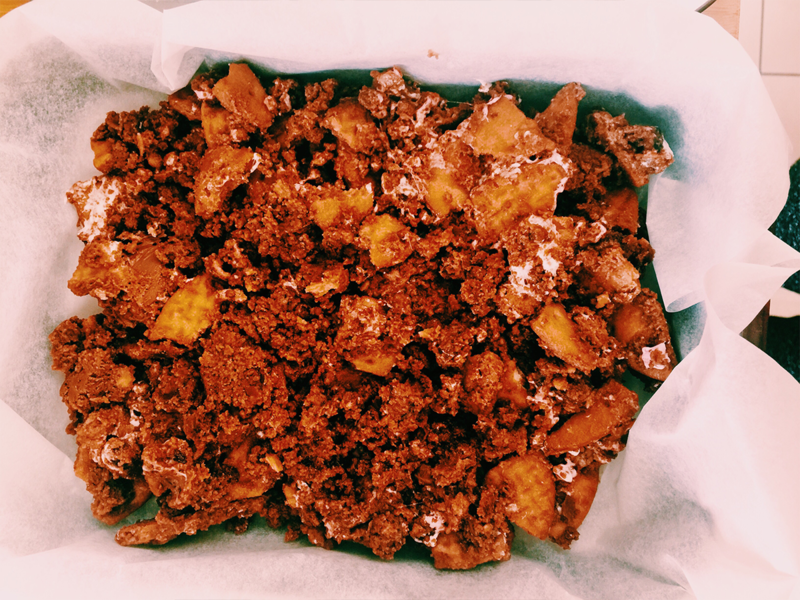 Let me know if you make Creme Egg Rocky Road!